House shows have always been an important part of the DIY music scene. 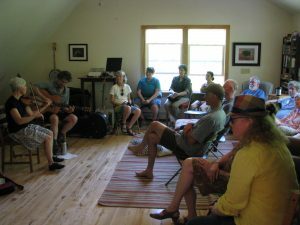 Whether it’s some garage rockers providing the soundtrack to a backyard party, a punk rock band playing a concert in a basement or even some indie folk musicians holding court in a living room, the result is the same – people getting the opportunity to listen to live music in an alternative, sometimes more comfortable setting, rather than in a bar or club. Now the event is back for a second year. 12 acts will set up shop in four homes around Montague Center on May 14, and those interested in checking out the fun can walk, bike or drive, between locations to see live music up close and personal. Since it consists of multiple concerts, some indoor and some outdoor, held at multiple houses spread throughout a neighborhood, “Good Music Makes Good Neighbors” is similar in its execution to events called porchfests, which are held throughout the country each year. The original porchfest, which gathered local musicians to perform on neighborhood porches to share their talents with the community, is believed to have been held in Ithaca, N.Y. in 2007, and according to one of that event’s co-organizers, Andy Adelewitz, the mission of such events boils down to one goal. Nemec and Duncan agree. By sharing some of the music the pair discovered in their own community, they now hope to shine as an example of how other neighborhoods can act as well. Jamaica Plain Porchfest organizer Mindy Fried is also a big supporter of bringing people together across race, culture and class divides through the power of the arts. 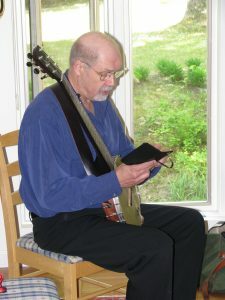 According to some performers, who played at last year’s “Good Music Makes Good Neighbors” event, audiences in Montague were very welcoming indeed. For now, Nemec and Duncan are content to keep “Good Music Makes Good Neighbors” a small, neighborhood event, though they have received significant interest from folks interested in hosting bands and artists in years to come. Nemec also notes that plans are in the works to one day feature some non-musical acts too, such as local Morris dancers. There has even been some talk of including an open stage where attendees can pick up instruments and play if the mood strikes them at the event. Last year’s festival achieved an estimated attendance of 75 people, and many are expected to return this year, including some fans driving all the way from Connecticut. Pairing the dream of a festive afternoon out in Western Massachusetts, where music is heard drifting from house to house as you walk or bike through the beauty of nature, with the more active notion of building a sense of community in a neighborhood of artists and musicians sounds like a challenging juggling act for even the hardiest of DIY-enthusiasts. But the success of even small events like “Good Music Makes Good Neighbors” can often be worth all the hard work and toil. 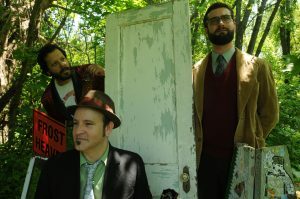 The 2nd Annual “Good Music Makes Good Neighbors” Montague Music Festival featuring Daniel hales, and the frost heaves., Vimana, Stephen Katz and more, May 14, 12 p.m. – 4:30 p.m., $10-15 donation requested, Montague Center, http://www.montaguemusic.org and http://www.facebook.com/MontagueMusicFest/.